Tehlor Kay Mejia is a YA author and poet at home in the wild woods and alpine meadows of Southern Oregon. When she's not writing, you can find her plucking at her guitar, stealing rosemary sprigs from overgrown gardens, or trying to make the perfect vegan tamale. She is active in the Latinx lit community, and passionate about representation for marginalized teens in media. You can find her on Twitter and Instagram @tehlorkay. Her short fiction appears in the ALL OUT and TOIL & TROUBLE anthologies from Harlequin Teen. 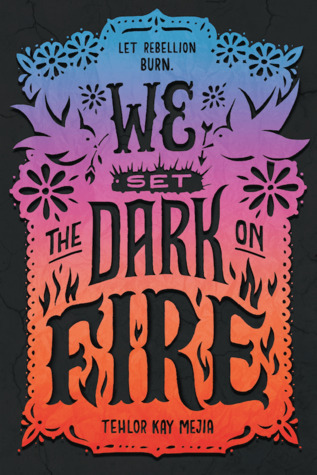 Her debut YA fantasy, WE SET THE DARK ON FIRE, is out 2/26/2019 from Katherine Tegen/Harper Collins, with a sequel to follow. Her debut middle grade, PAOLA SANTIAGO AND THE DROWNED PALACE, releases from Disney-Hyperion/Rick Riordan Presents in 2020, with a sequel to follow in 2021. METEOR, co-written with Anna-Marie McLemore, is out summer 2020 from HarperTeen.